At the same time, Israel did not treat its adversaries’ ability to use rockets as a priority for a long time, therefore establishing a comprehensive anti-ballistic missile system was not among its priorities either. The situation changed after the 1991 Gulf War, when Iraq struck Israeli cities using improved Soviet R-17 (NATO classification SS-1b Scud-B) ballistic missiles. At that time, US Patriot PAC-2 ABM systems were used to protect Israeli cities, however, they demonstrated their ineffectiveness. Therefore a decision was made to push the development of the Arrow and Arrow-2 ABM system jointly with the US, with the first systems deployed in March 2000. The Tamir missile is equipped with a homing sensor under a metallic ballistic cone to protect it against high temperatures. The cone is ejected several seconds prior to the intercept using the proximity-fused warhead. The United States have been active in financing the development, production, and servicing of Iron Dome since 2011. The program’s overall cost has been estimated at approximately $4.5 billion, with the US contribution being over $1.5 billion. The US budget for 2018 includes $92 million to finance Iron Dome. Iron Dome is being supplied to Canada, Azerbaijan, India, and several other countries. Czech Republic will receive them in the near future. The total volume of sales has reached $2 billion. Israel declared its intent to export the system many times. Interested parties have included South Korea, Singapore, Saudi Arabia, United States which have voiced interest in buying the system to protect own bases in Iraq and Afghanistan. Effectiveness assessments are mainly based on the Second Lebanon War and two IDF operations in Gaza: Pillar of Cloud (2012) and Protective Edge (2014). Combining unguided and guided rockets would greatly increase the ability to overcome ABM defenses. Moreover, ABM systems would be degraded if faced by multiple adversaries operating from different directions. According to open source data, Iron Dome is quite sensitive and often reacts to false alarms, for example, from machine-gun bursts. This vulnerability is an obvious one to exploit. The psychological factor also matters. RAND analysts are correct to note that reducing casualties among Israeli civilians has a negative media effect against the backdrop of losses among Palestinians or Lebanese. In the future, Iron Dome will likely be modernized to address existing problems and to adapt to developments in offensive means.Moreover, fire control and radar systems will be modernized as well. On the one hand, the system will be better able to detect launches and predict trajectories. On the other hand, it’s necessary to improve the ability to identify targets due to its propensity to react to false alarms. These efforts will be accompanied by the development of Iron Beam which is intended to defeat ultra-short range munitions. 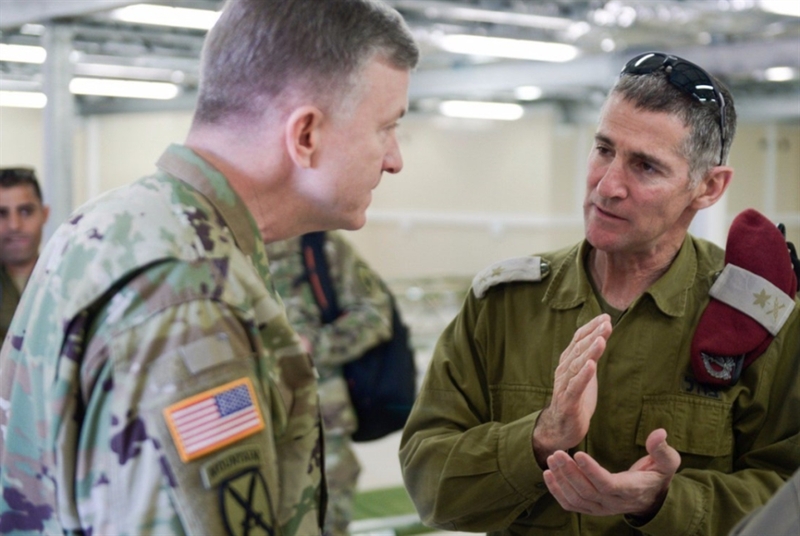 Israel has limited ability to improve ABM tactics, and include better coordination, where intelligence-gathering plays a big role. Israel and its adversaries will continue improving their defensive and offensive systems, respectively. They will focus on modernization, improving quality and quantity, development of new weapons, and improving tactics. Hezbollah and Hamas will emphasize tactics changes in the use of their existing arsenals, combined with improving their rockets’ range and accuracy and expanding the variety of weapons systems used. Combining cheap and improved precise rockets in a single salvo will become a more frequent tactic. Zionist experts revealed that the occupation entity is not ready to confront the rocketry threat on the northern front which “would be the most dangerous one”. Dan Rogel, an engineer at Rafael Israel Military Industries, clarified although some consider that Gaza front is the most volatile, the northern one proves to be most dangerous one. Rogel added that ‘Israel’ will be obliged to fire over 1400 interceptor missiles per day during the upcoming war, which costs the Zionist entity $1.5 billion. Rogel wondered how much the financial cost of the war would be in case it lasts for more than 30 days. A while back, an invasive fish species swamped territorial waters of occupied Palestine in 2007. They came through the Suez Canal. “Israeli” fishermen nicknamed the fish species after Hezbollah Leader His Eminence Sayyed Hassan Nasrallah for their toxicity – implying Sayyed Nasrallah’s threatening effect on the “Israeli” public! The fish has a beautiful appearance, but it has a poison that cripples humans and can sometimes be fatal. There is no antidote for this toxin. 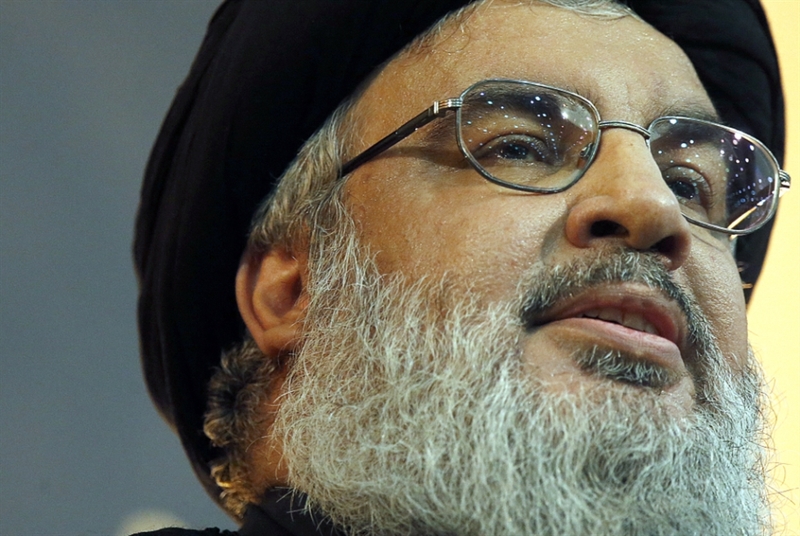 It is no secret that Hezbollah and its Secretary General pose a grave threat to the “Israeli” entity, that the mere mention of both would have the public go bananas, so to speak. The “Israeli” Haaretz had previously published an article on the personality of Sayyed Nasrallah, in which it analyzed the effect of his personality on the “Israeli” conscience. The newspaper wrote that the “Nasrallah phenomenon” was not related to the collective awareness of the “Israelis” as a result of the wars that it waged in several confrontations, but in the image it accumulated over the past years as a person with credibility, firmness and specialized on the “Israeli” issue. Since then, Sayyed Nasrallah has been engraved in the consciousness of “Israelis”, not because he leads the front that represents the first strategic threat to the entity, but because of his trustworthiness. In the meantime, the image of “Israel’s” so-called “invincible army” is beginning to diminish after the 2006 Lebanon War that devastated both, the “Israeli” public and its army. “Think big, dream big, believe big and the results will be big” – which the “Israeli” entity is probably abiding by in every step towards achieving its ultimate goal: defeating Hezbollah. But what happens when your dream is so big, and you are not able to fulfil that dream, even after working so hard, what should you do? 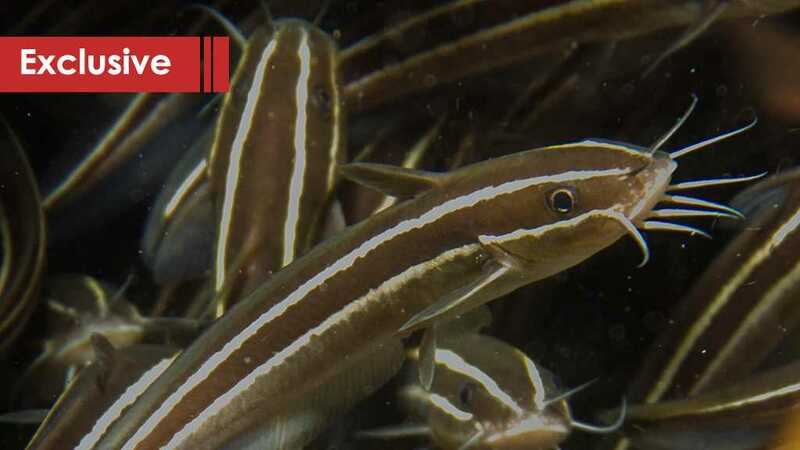 On Tuesday, the “Israeli” entity’s so-called Ministry of Environmental Protection lauded a “significant decrease in the presence of the invasive, poisonous Nasrallah fish”. “Israel” hailed its ability to counter toxic fish. Bravo! Well done! So whenever you have a fish problem, don’t worry; “Israel” will find a solution. But don’t ask it to defeat battle-hardened troops; it just fights at the level of fish. When you can’t defeat Hezbollah, go fishing! Fight fish! In the words of US Secretary of State Mike Pompeo, “Israel” is seeking to “prevent Syria from transforming into a second Lebanon.” Hezbollah, on the other hand, is seeking to prevent transforming Lebanon into another Syria. In short, it can be said that these two claims summarize the escalating rhetoric between the party [Hezbollah] and Tel Aviv in the last few months, and perhaps years. “Israel’s” announcement about “a second Lebanon in Syria” means not allowing Iran to fixate its military position in Syria, including the conversion of the Golan into an active front. Moreover, it means preventing establishment of Iranian military readiness – primarily the missile force – that would be activated when orders are given to head toward “Israel’s” strategic depth. This phrase, “a second Syria in Lebanon”, has not yet been integrated into the media’s vocabulary. It can be defined in two ways. A change in the rules of engagement between the resistance and “Israel”, as Sayyed Nasrallah said on Saturday. This will strip Tel Aviv of the ‘right’ to launch military strikes against targets on Lebanese territory it considers a threat – a threat that should be addressed in a preventive manner. The second definition is of Jewish origin. It simply speaks of transferring the “battle between the wars”, which “Israel” has been waging in Syria for six years, into Lebanon. First, to hold off the next major war. Second, providing the permanent availability of favorable circumstances that make this war, when it erupts, possible, easy and quick to resolve, and with the smallest lowest possible civilian and military losses (see “Al-Akhbar”, May 24, 2016). Several headlines in “Israel” have focused on the objectives of this battle, including the “balance breaking weapons”. At the time, “Israel” meant by these weapons the advanced naval and air defense systems (in terms of accuracy and distance). Preventing the operational positioning of Hezbollah and the Iranian Revolutionary Guards in the Syrian Golan. And the overall Iranian positioning in Syria – the so-called “precision project” that Hezbollah is striving to acquire. It is intended to turn the party’s low-grade weapons into highly precise smart missiles. The global war on Syria has drained the state and its army. It also occupied the axis of the resistance from its semi exclusive priorities. It is known, that this war constituted an opportunity for “Israel”, enabling it to embark on this battle, while betting on the likelihood of calm rather than a counter response. It becomes understandable that Tel Aviv’s battle between the wars only began after the outbreak of the Syrian crisis (about a year and a half into the conflict). It also becomes understandable why it was geographically confined there as the “Israelis” abstained from transferring it to Lebanon. This is due to the deterrence that the resistance established – the permeability of which it continually insists without the slightest respite. It can be said that the escalating rhetoric in recent months between the two claims – “turning Syria into a second Lebanon” and “transforming Lebanon into a second Syria” – reflect more than anything else the growing “Israeli” feeling that the “battle between wars” has drained Tel Aviv and its usefulness has reached its end (there are voices inside “Israel” that have started talking about it). On the one hand, the “symbolic” missile response on the Golan against recent attacks suggests that what once was will not necessarily be so in the future (see Al-Akhbar, January 22, 2019). This as the latest strategic estimation issued by the Institute for National Security Studies warning, that the window of opportunity offered by the Syrian war to “Israel” is closing, is indeed becoming more realistic than some think. On the other hand, the high level of “Israeli” threats against the “accuracy project” in Lebanon reflects, more than anything else, the magnitude of Tel Aviv’s fear toward working inside Lebanon and the potential deterioration that this entails. Sayyed Nasrallah’s latest interview eliminates some ambiguities in this regard. His warning to Netanyahu about the continuation of his actions in Syria and calling on him not to miscalculate there as well as his unequivocal assertion that the resistance in Lebanon is in a state of practical endeavor to make Tel Aviv pay a painful price for any aggression on Lebanese territory pose as a primary declaration that the “battle between the wars” in Syria is nearing its end. They are also a final declaration that the battle cannot be cloned in Lebanon. In theory, this means “Israel” has one of two options. It either retreats because it fears the price of moving forward with the existing strategy. Or it can venture and face the possibilities of rolling into a broad confrontation as Nasrallah pointed out. This means that the philosophy on which the “battle between the wars” is based now faces an existential challenge with its constituents. Continuing with it for a long time or attempting to move it to the Lebanese arena will not only hold off the great war or decrease its estimated losses. It will also place “Israel” at the edge of the “war between the battles”. The following would not necessarily be “Israel’s” initiative, as was the case before. تسعى إسرائيل، وفقاً لتعبير وزير الخارجية الأميركي، مايك بومبيو، إلى «منع تحويل سوريا إلى لبنان ثانٍ». في المقابل، يسعى حزب الله إلى منع تحويل لبنان إلى سوريا ثانية. يمكن القول، باختصار، إن هذين الاستحقاقين يلخّصان حالة الكباش المتصاعدة بين الحزب وتل أبيب في الأشهر، وربما السنوات، القليلة الأخيرة. «لبنان ثانٍ في سوريا» تعني، بحسب المعلن إسرائيلياً، عدم السماح لإيران بترسيخ تموضعها العسكري في سوريا، بما يشمل تحويل الجولان إلى جبهة ساخنة من جهة، وإنشاء جاهزية عسكرية ــــ صاروخية بالدرجة الأولى ــــ تُفعّل يوم الأمر ضد العمق الإسرائيلي، من جهة أخرى. أما «سوريا ثانية في لبنان»، وبعيداً عن أصالة هذه العبارة التي لم تنسكب بعد كاصطلاح في الأدبيات الإعلامية المتداولة، فيمكن شرحها وفقاً لتفسيرين مترادفين: إحداث تغيير في قواعد الاشتباك القائمة بين المقاومة وإسرائيل، كما عبّر السيد نصر الله أول من أمس، بما يؤدي إلى انتزاع تل أبيب «الحق» في توجيه ضربات عسكرية أو أمنية داخل الأراضي اللبنانية ضد أهداف ترى أنها تشكل تهديداً يستدعي معالجته وقائياً. التفسير الثاني، وهو عبري المنشأ، يتحدث ببساطة عن نقل «المعركة بين الحروب»، التي تمارسها إسرائيل في سوريا منذ ستة أعوام، إلى لبنان. ثانياً، التوفير الدائم للظروف المؤاتية التي تجعل هذه الحرب، عندما تندلع، ممكنة وسهلة وسريعة الحسم، وبالقدر الأقل من الخسائر المدنية والعسكرية (راجع «الأخبار»، 24 أيار 2016). وقد تعاقبت عناوين عدة في الأدبيات الإسرائيلية على الأهداف التي تمحورت هذه المعركة حول معالجتها، بدءاً من «الأسلحة الكاسرة للتوازن»، والتي عَنَت في حينه منظومات الدفاع الجوي والبحري المتطورة (لجهة دقة الإصابة وبُعد المسافة)، مروراً بمنع التموضع العملاني لحزب الله والحرس الثوري الإيراني في الجولان السوري، وانتهاءً بعموم التموضع الإيراني الآنف الذكر في سوريا وبما يُطلق عليه «مشروع الدقة» الذي يجهد حزب الله لحيازته، والمقصود منه تحويل «الصواريخ الغبية» التي يمتلكها الحزب إلى «صواريخ ذكية» دقيقة الإصابة. والمعلوم أن الحرب الكونية على سوريا، التي استنزفت الدولة وجيشها وشغلت محور المقاومة بأولوياتها شبه الحصرية، شكلت بالنسبة إلى إسرائيل فرصة انتهازية مكّنتها من المبادرة إلى معركتها تلك في ظل الرهان على أرجحية الأمن من ردود مقابلة. يصبح مفهوماً، والحالة هذه، كيف أن معركة تل أبيب بين الحروب لم تبدأ إلا بعد اندلاع الأزمة السورية (بنحو عام ونصف عام) ولماذا انحصرت جغرافيّاً هناك وسط امتناع فعلي عن نقلها إلى لبنان، استناداً إلى الردع الذي كرّسته المقاومة وتصرّ على استمرارية نفاذه دون أدنى هوادة. ويمكن القول إن الكباش المتصاعد في الأشهر الأخيرة بين استحقاقي «تحويل سوريا إلى لبنان ثانٍ» و«تحويل لبنان إلى سوريا ثانية» يعبّر أكثر من أي شيء آخر عن تنامي حدة الشعور الإسرائيلي بأن «المعركة بين الحروب» استنزفت نفسها ووصلت، من حيث فعاليتها المجدية، إلى تخوم النهايات (بالمناسبة، ثمة أصوات داخل إسرائيل بدأت تتحدث عن ذلك). فمن جهة، جاء «الرد الرمزي» الصاروخي على الجولان ضد الهجمات الأخيرة ليوحي بأن ما كان ليس بالضرورة هو ما سيكون (راجع «الأخبار»، 22 كانون الثاني 2019)، وأن ما حذر منه التقدير الاستراتيجي الأخير الصادر عن معهد أبحاث الأمن القومي بشأن انغلاق نافذة الفرص التي وفرتها الحرب السورية لإسرائيل أكثر واقعية مما يظن البعض. ومن جهة أخرى، يعكس ارتفاع منسوب التهديدات الإسرائيلية ضد «مشروع الدقة» في لبنان، أكثر من أي شيء آخر، قدر التهيّب الذي تستبطنه تل أبيب إزاء العمل داخل لبنان واحتمالات التدهور الذي ينطوي عليه هذا الأمر. كلام السيد نصر الله في مقابلته الأخيرة من شأنه أن يرفع أي لبس بهذا الشأن. تحذيره نتنياهو من التمادي في ما يقوم به في سوريا ودعوته إلى عدم الخطأ في التقديرات هناك، وجزمه القاطع بأن المقاومة في لبنان في حالة تربص عملاني لتدفيع تل أبيب ثمناً مؤلماً ضد أي اعتداء على الأراضي اللبنانية، هما بمثابة إعلان أولي بأن «المعركة بين الحروب» في سوريا أوشكت على نهايتها، وإعلان نهائي بأنها غير قابلة للاستنساخ في لبنان. يعني ذلك، من الناحية النظرية، أن الخيارات القائمة أمام إسرائيل تراوح بين الانكفاء المدفوع بالخشية من أكلاف المغامرة بالمضيّ قدماً في الاستراتيجية القائمة، وبين المغامرة نفسها بما تنطوي عليه من احتمالات التدحرج نحو مواجهة واسعة، كما أشار نصر الله. يعني ما تقدم أن الفلسفة التي قامت عليها «المعركة بين الحروب» باتت في حالة تحدّ وجودي مع مقوماتها. الاستمرار طويلاً بها، أو محاولة نقلها إلى الساحة اللبنانية، لن يبعدا الحرب الكبرى، أو يخفضا خسائرها المقدرة، وحسب، بل من شأنهما أن يضعا إسرائيل على حافتها، حافة «الحرب بين المعارك»، ليس بالضرورة أن يكون ما يلي منها الحرب إسرائيليّ المبادرة، كما كانت الحال في ما سبقها.